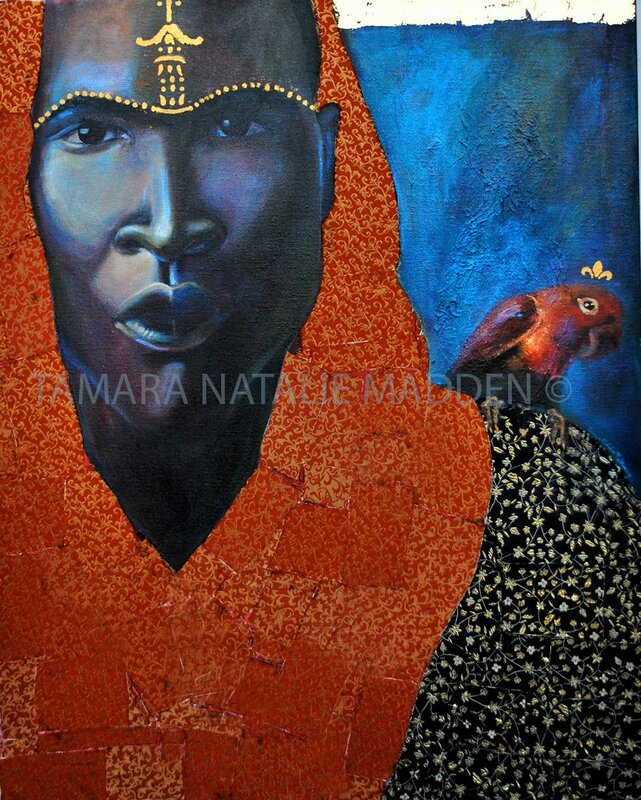 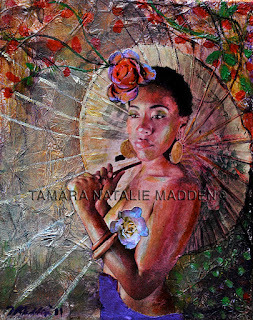 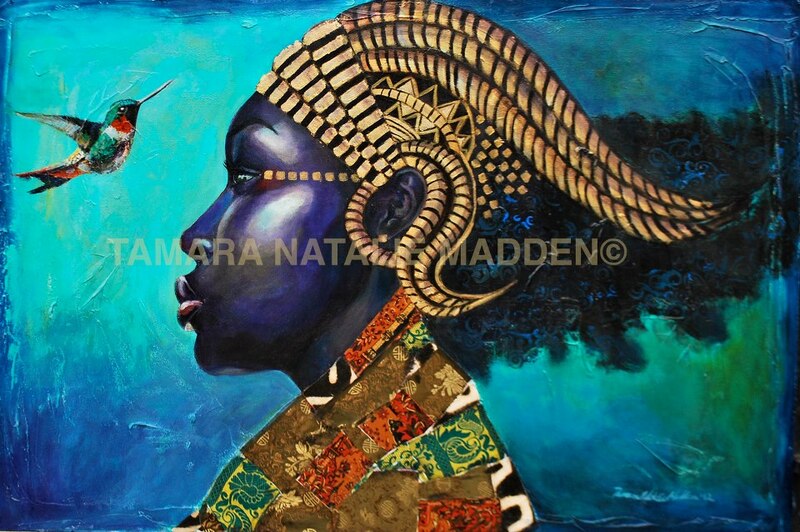 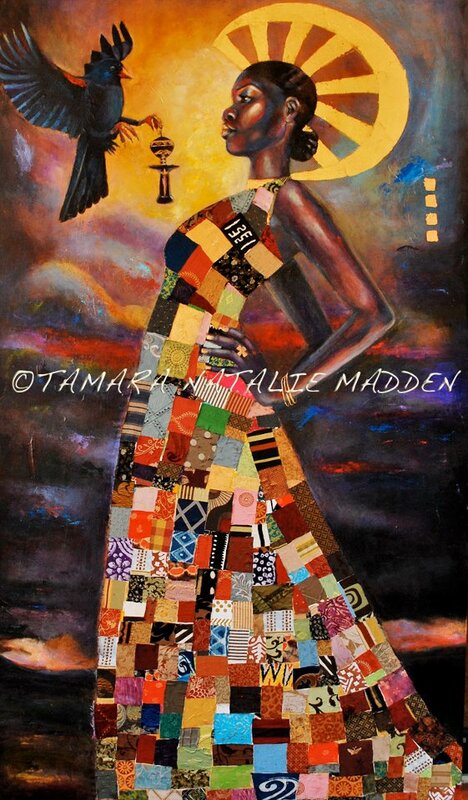 OTHER WORKS IN ✿ Tamara Natalie MADDEN ✿ NEW! 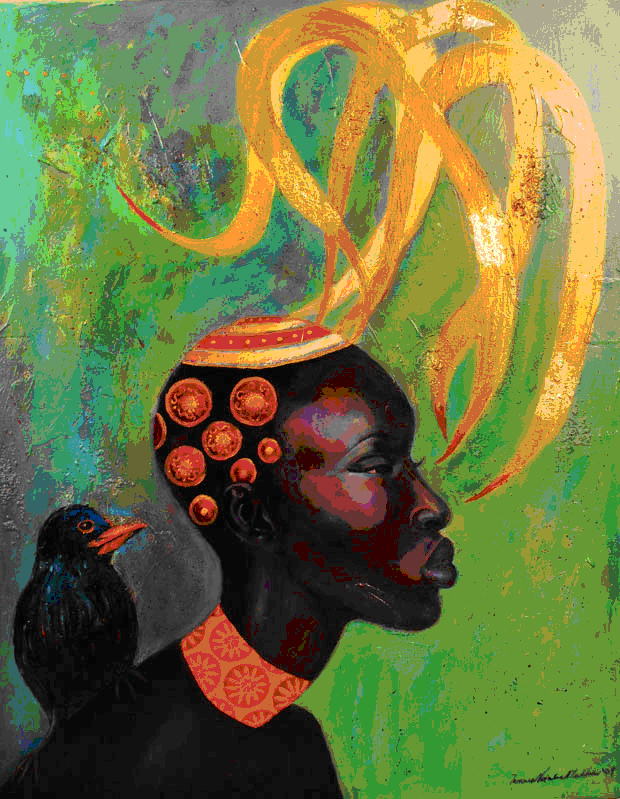 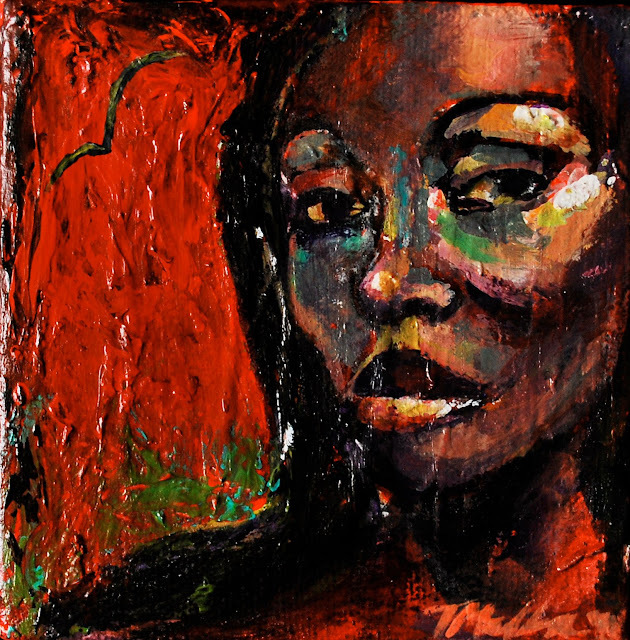 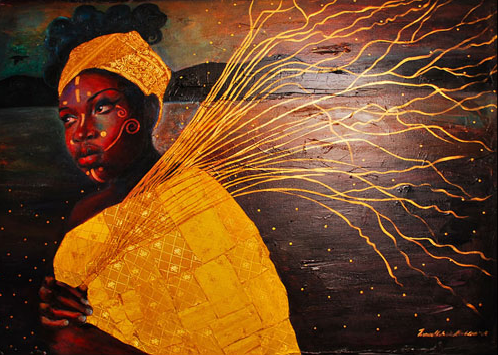 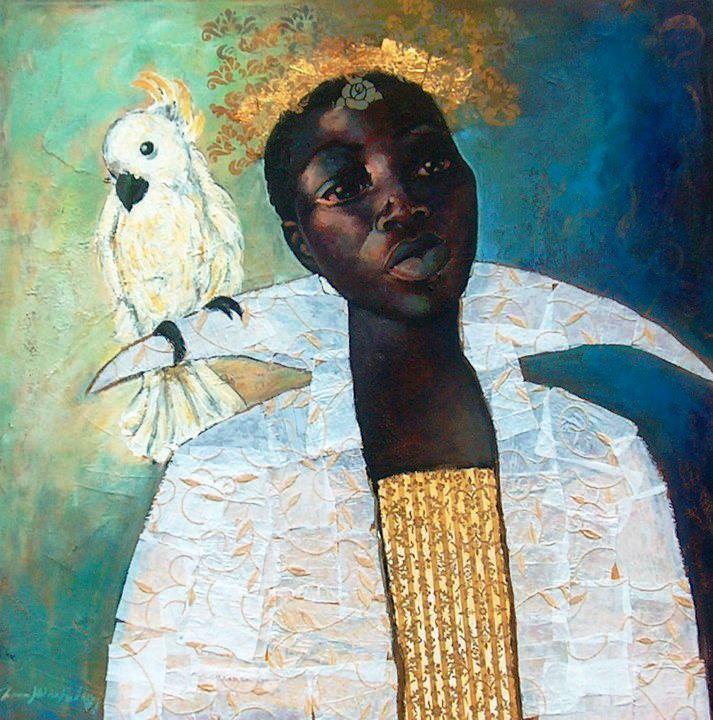 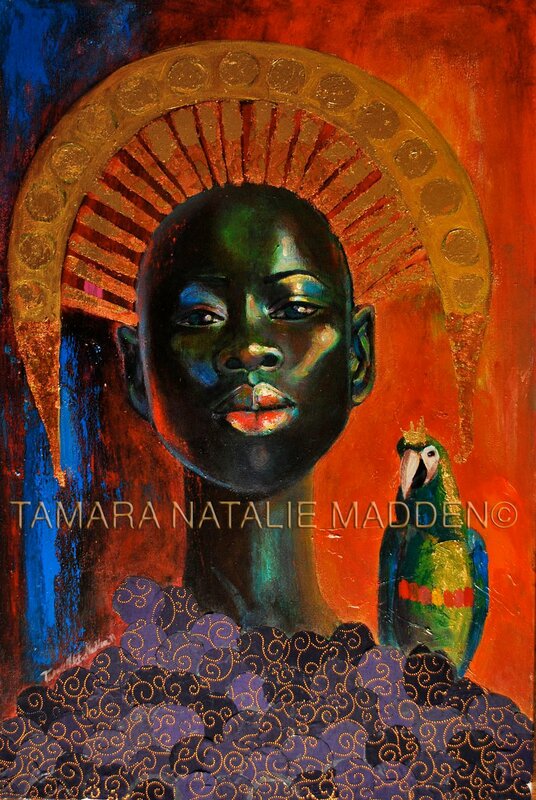 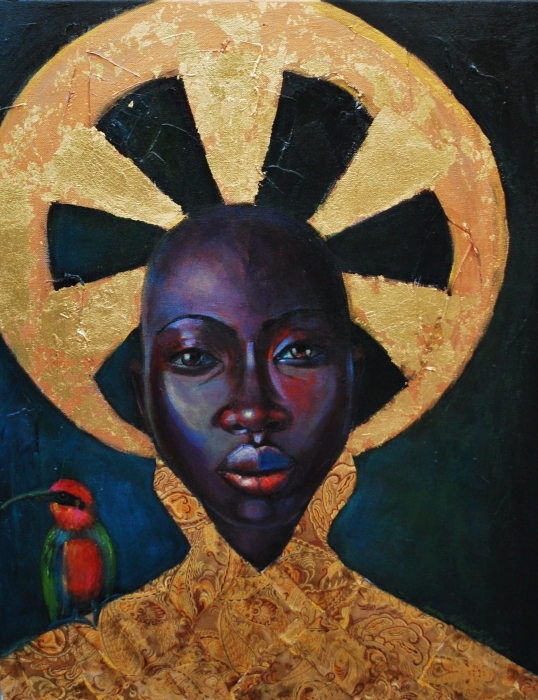 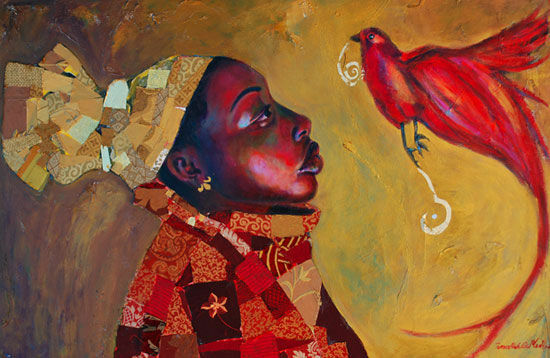 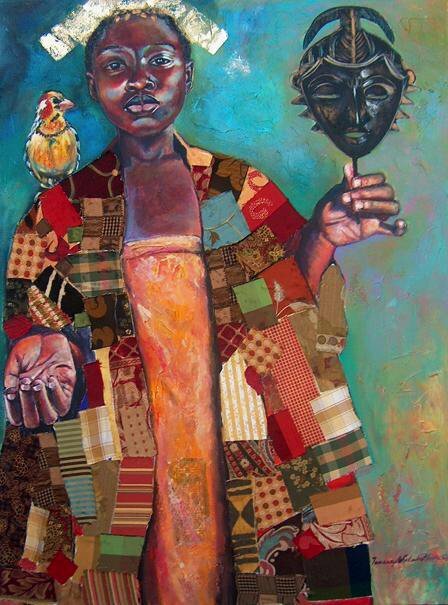 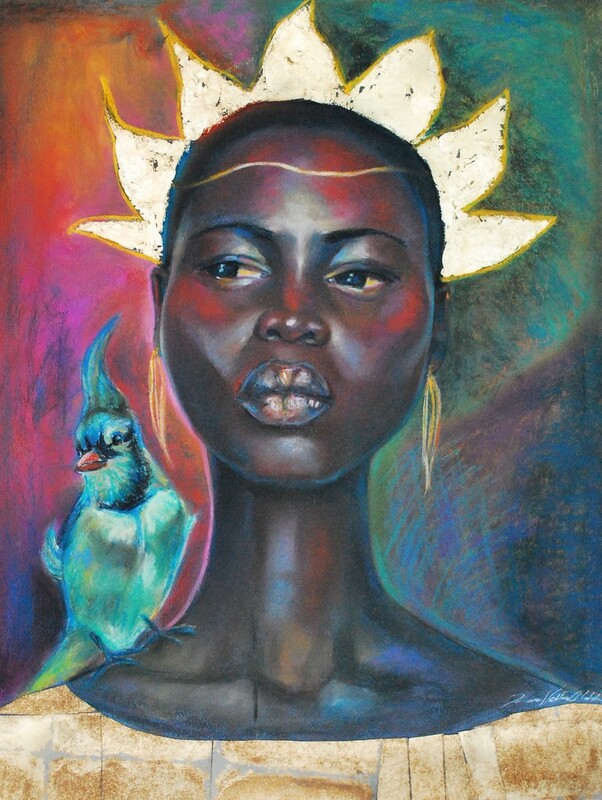 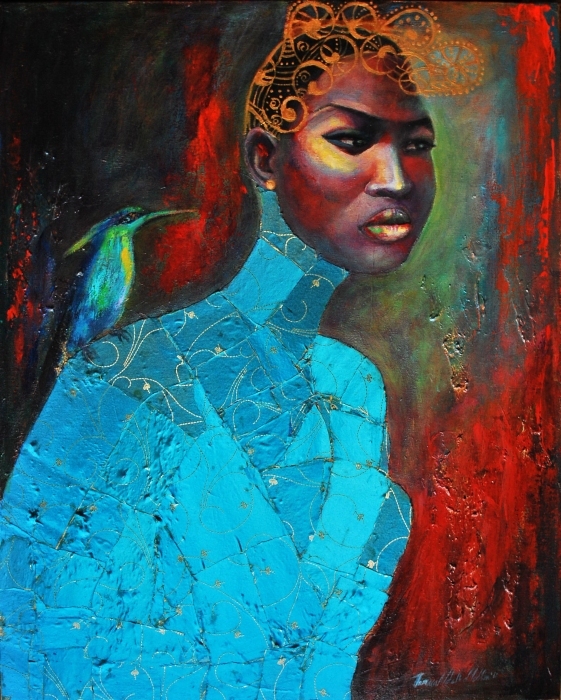 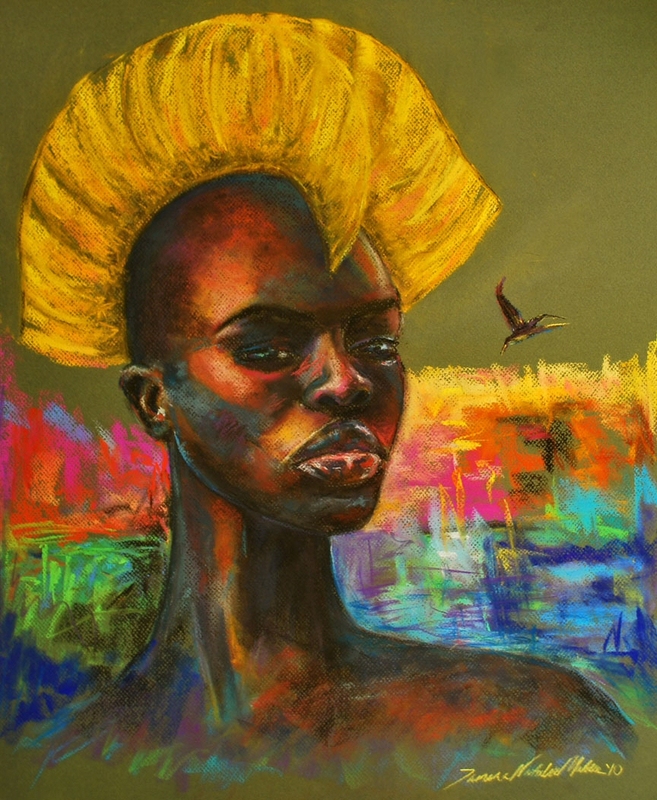 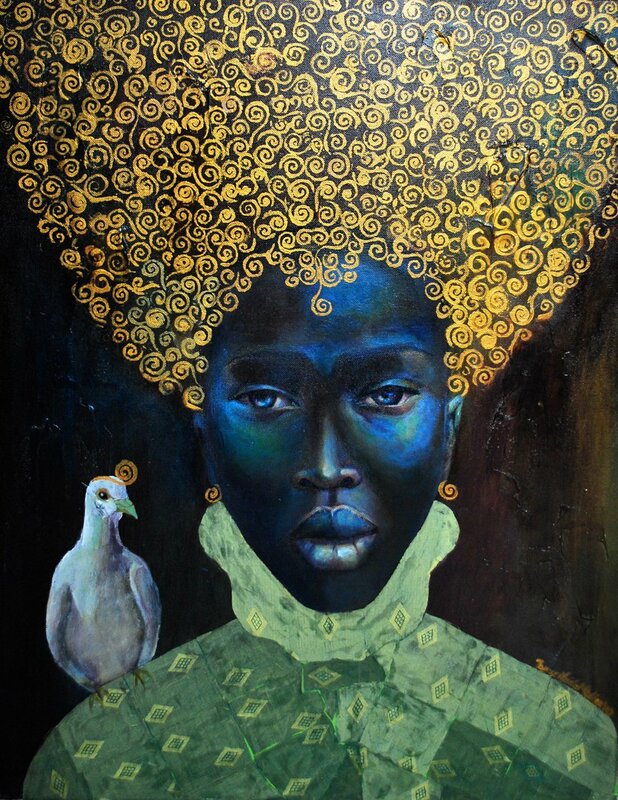 Tamara Natalie Madden, was born in St. Andrew, Jamaica and raised in Manchester, Jamaica. 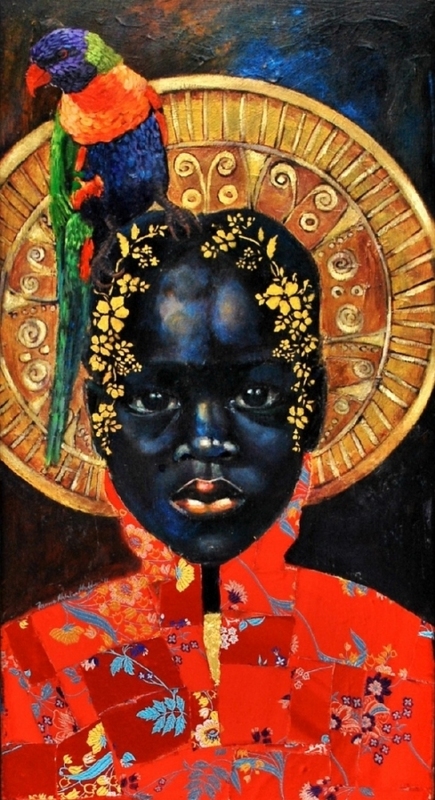 It was during her childhood in Manchester that Madden was exposed to her first artistic influences. 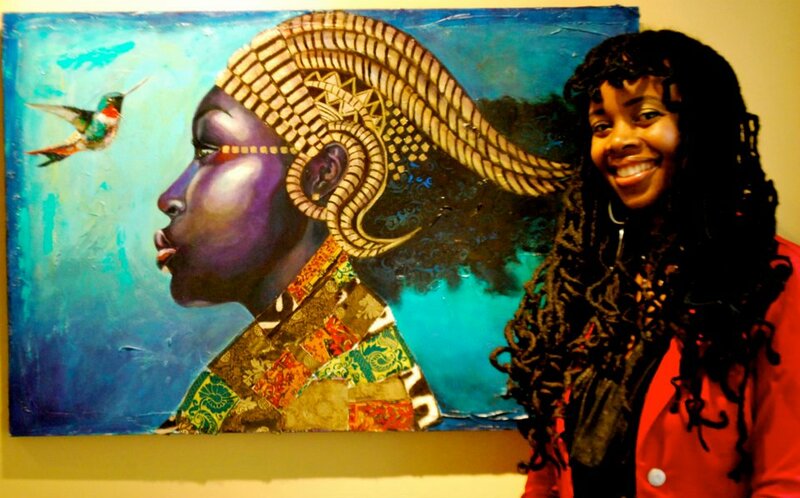 She continued to pursue art during her high school years, studying advanced literature, photography and creative writing. 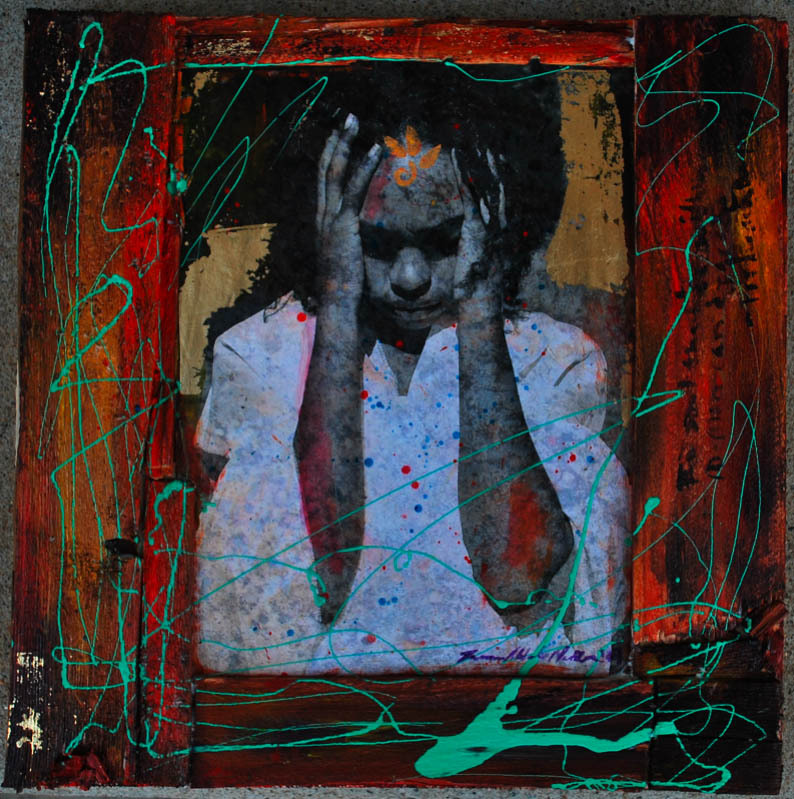 In 1992, when her art teacher passed from cancer, her sadness, along with teenage concerns, diverted her attention from art. 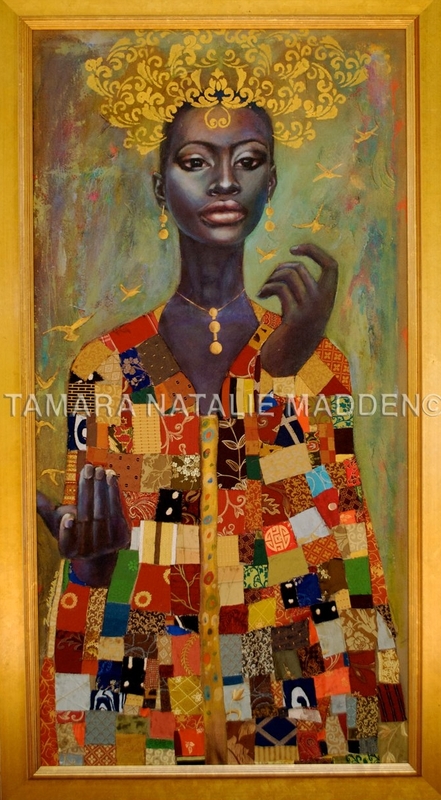 Tamara created art sporadically for the next few years, with her passion eventually dissipating as life issues took precedence over her creativity. 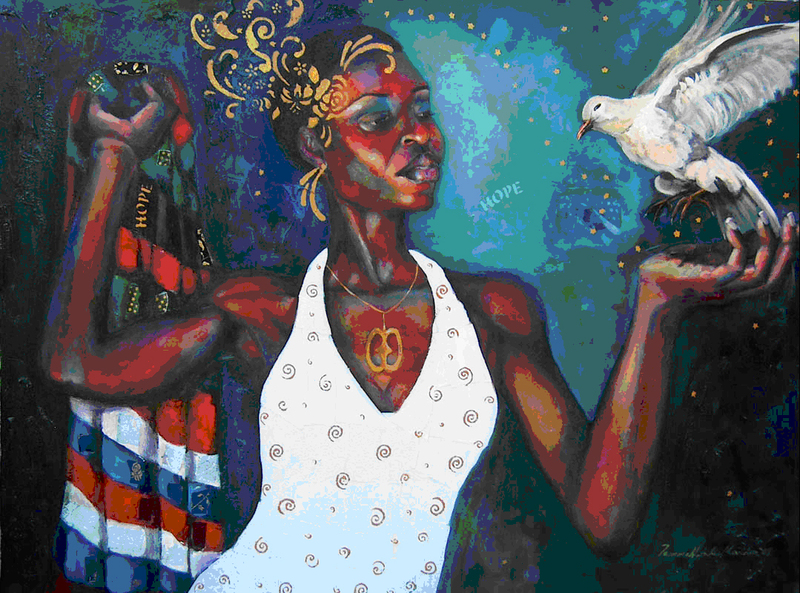 In 1997, Tamara was diagnosed with a rare genetic kidney disease called IGA Nephropathy. Over the next few years she would watch her body deteriorate while she tried to maintain sanity amidst all of the toxins collecting in her body. 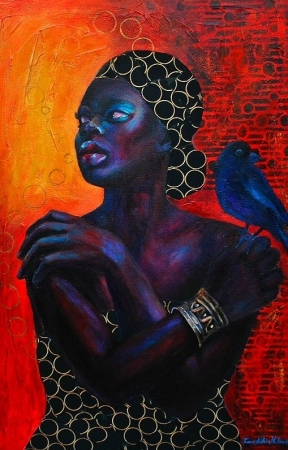 In order to maintain some semblance of normalcy, she began to create again. 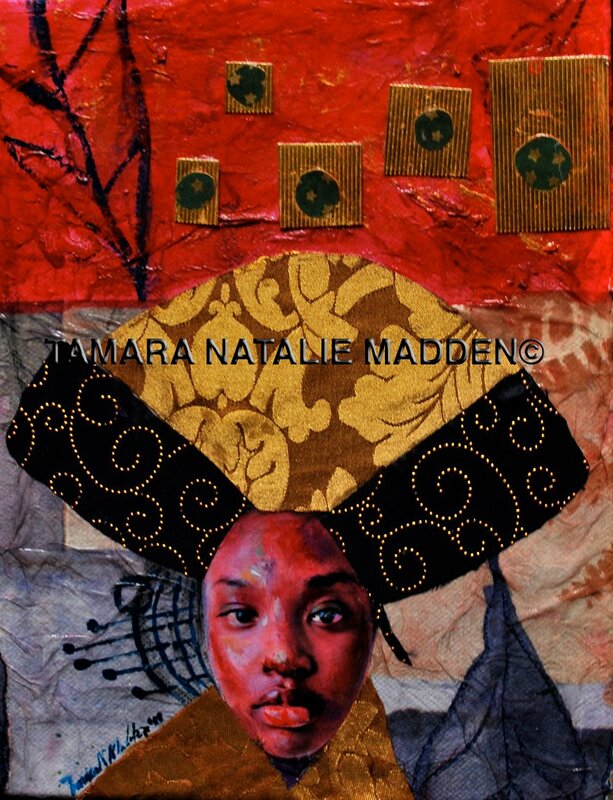 In 2000, Tamara took a trip home to Jamaica in hopes of reuniting with family and finding a long lost brother. 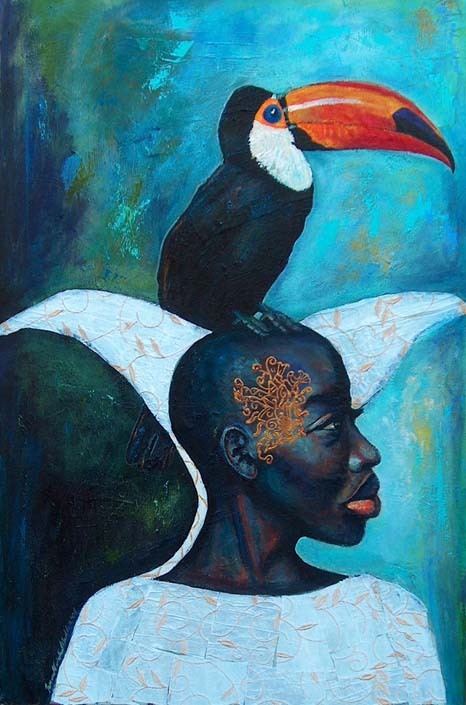 She had no idea that the trip would save her life. 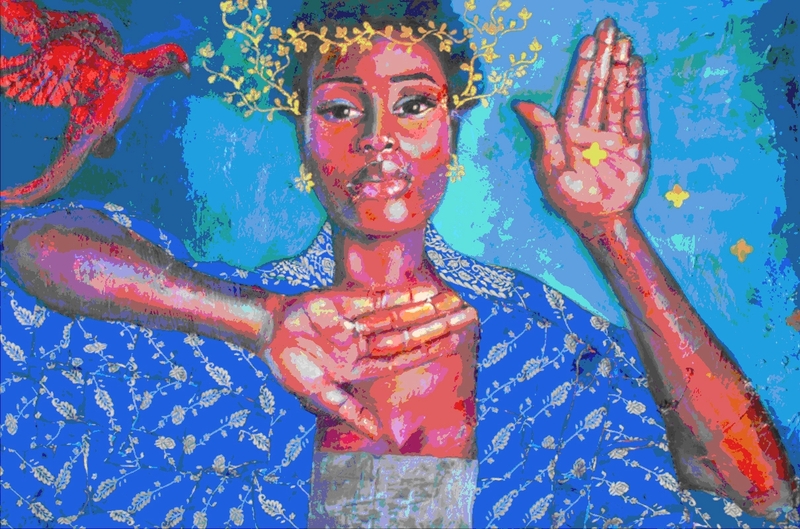 Her brother offered his kidney to her upon seeing the condition that she was in. 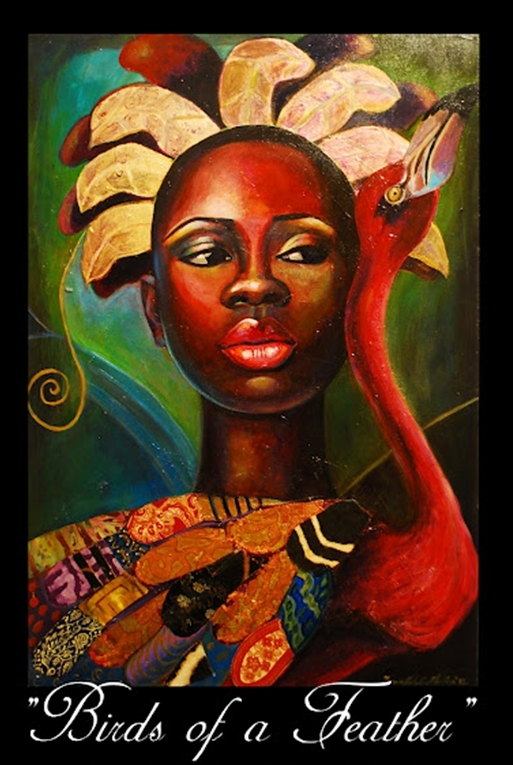 This amazing offer was consummated in 2001 with Tamara undergoing a successful kidney transplant. 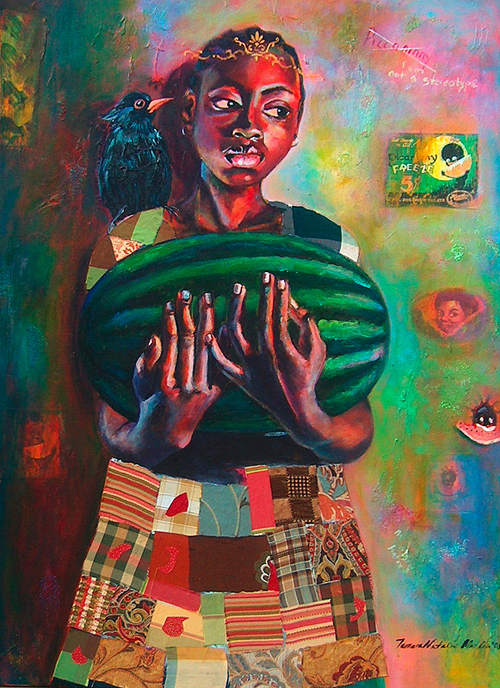 That year she participated in her first art exhibition, making good on the promise that she had made to herself long ago to become a professional fine artist. 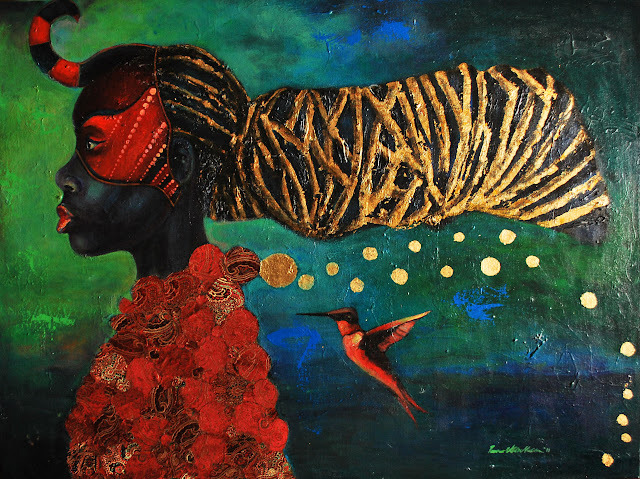 Her work has been featured in newspapers and magazines, including, but not limited to, the New York Times International, the Jamaican Gleaner, and Upscale Magazine. 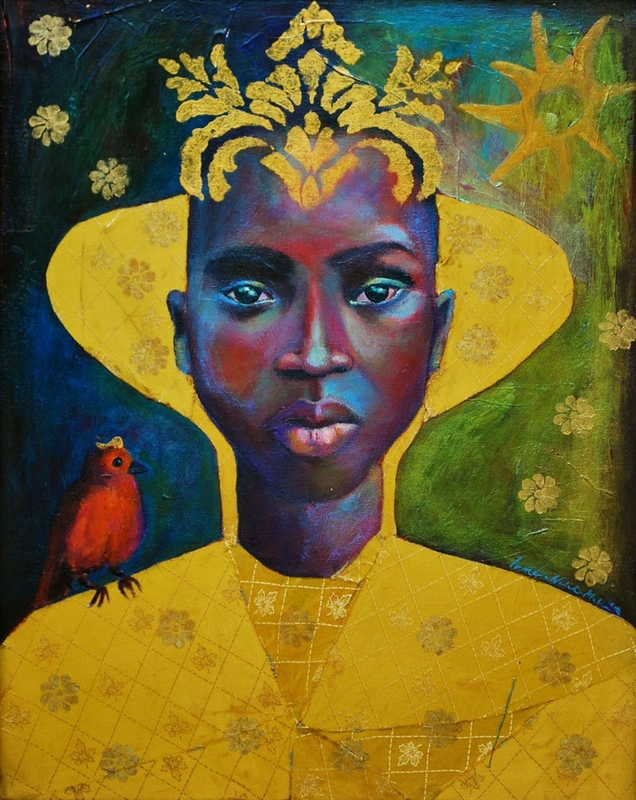 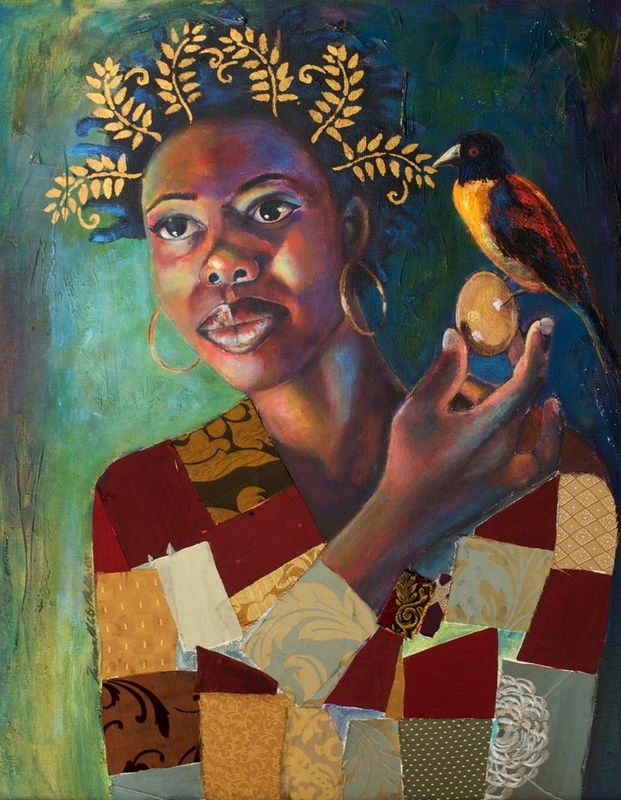 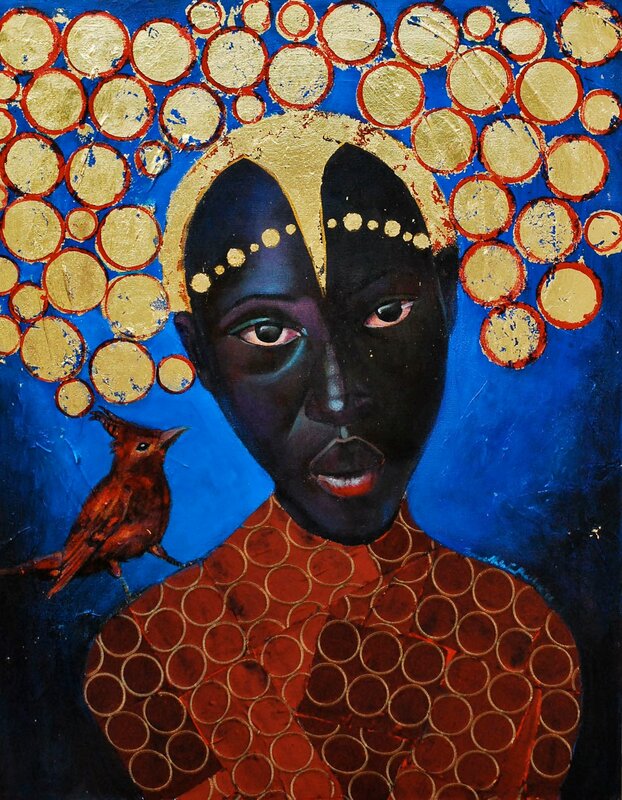 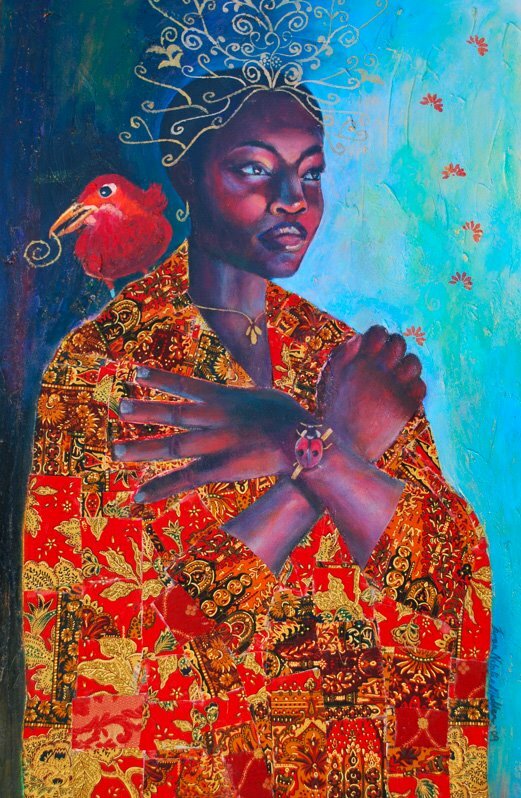 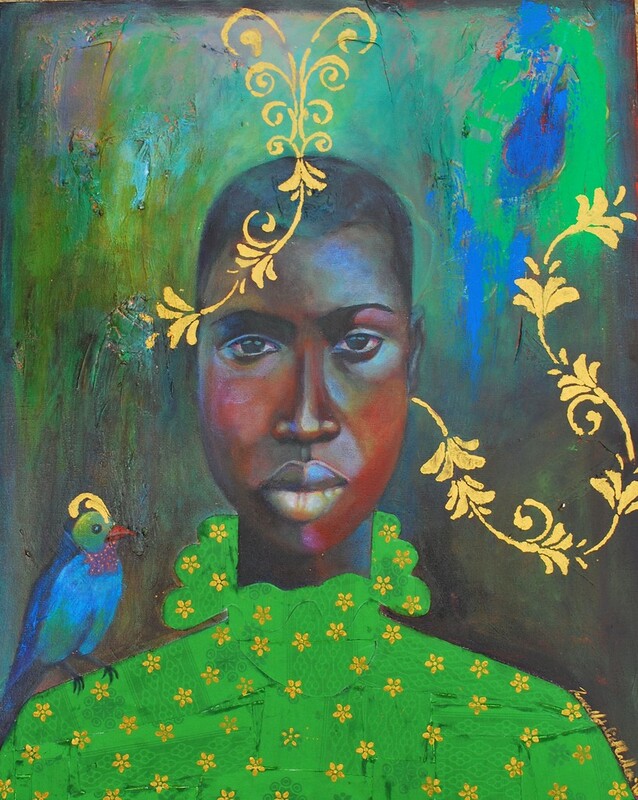 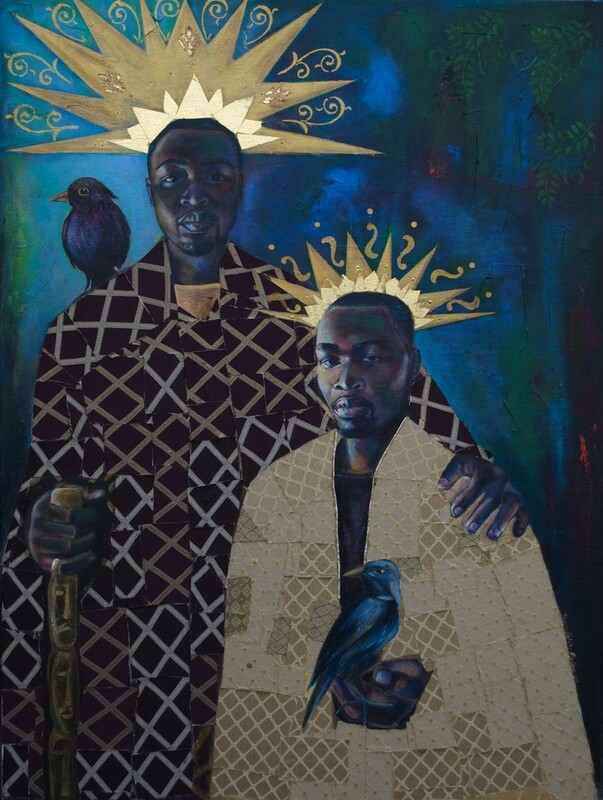 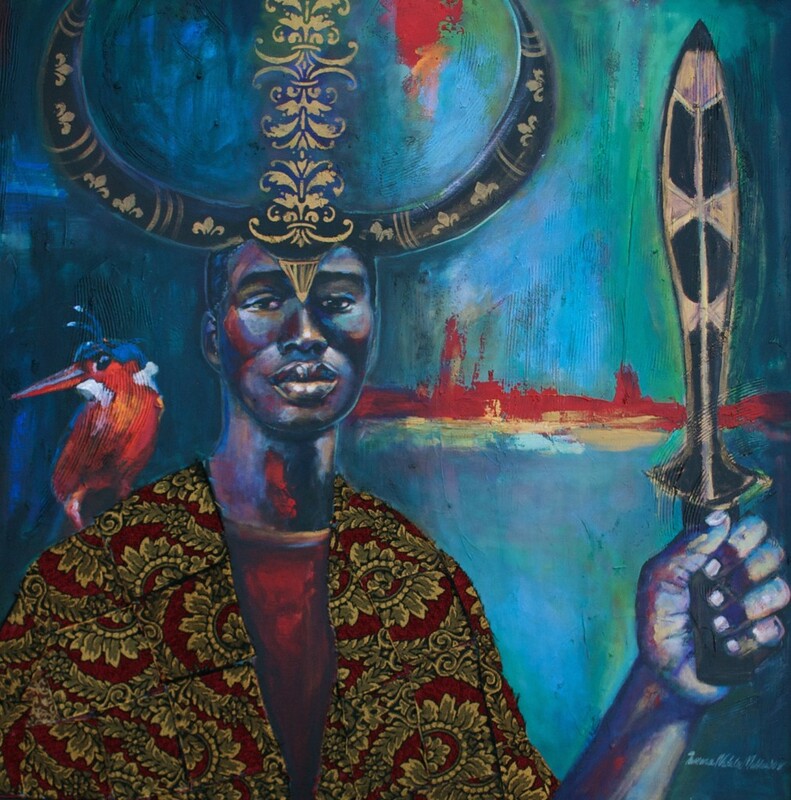 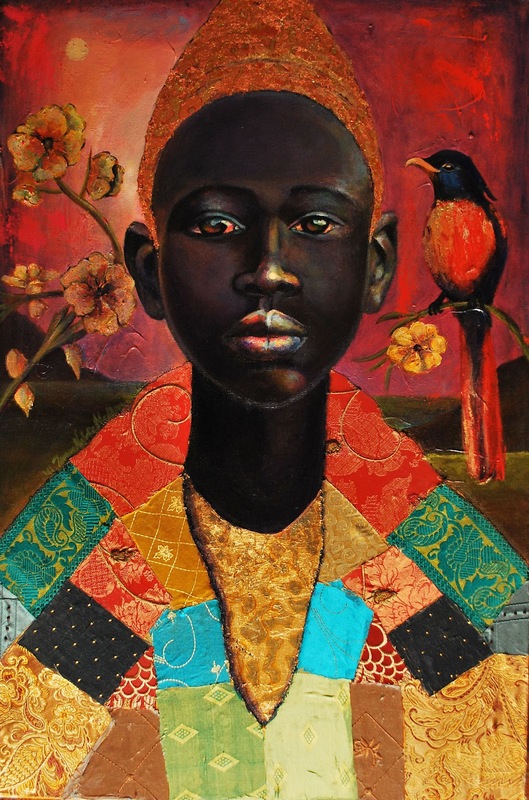 Many of her pieces are in the permanent collection of prestigious universities, such as the Margaret Cunninggim Center, Women and Gender Studies Department and History Department of Vanderbilt University in Tennessee. 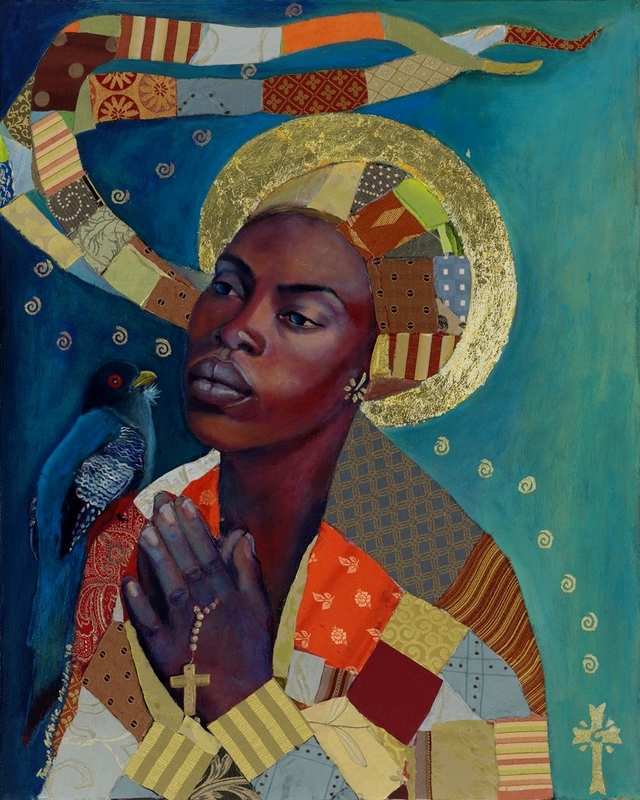 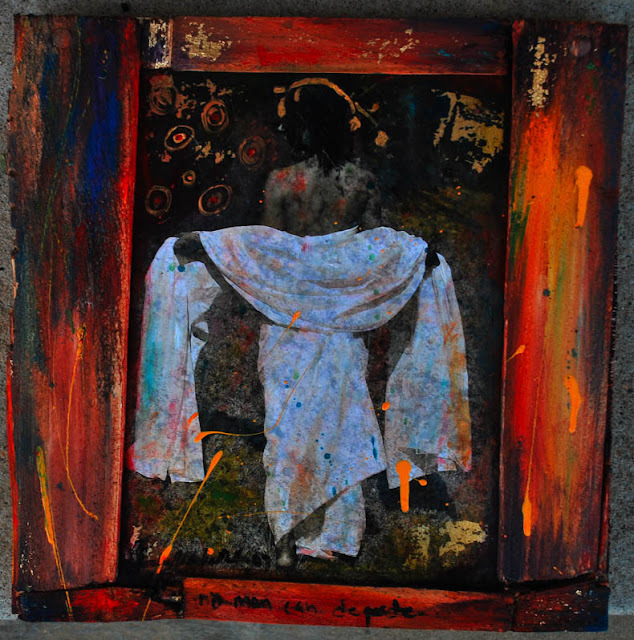 She is also in the permanent collection of Alverno College in Wisconsin, and The Mother Kathryn Daniels Community Center in Milwaukee Wisconsin. 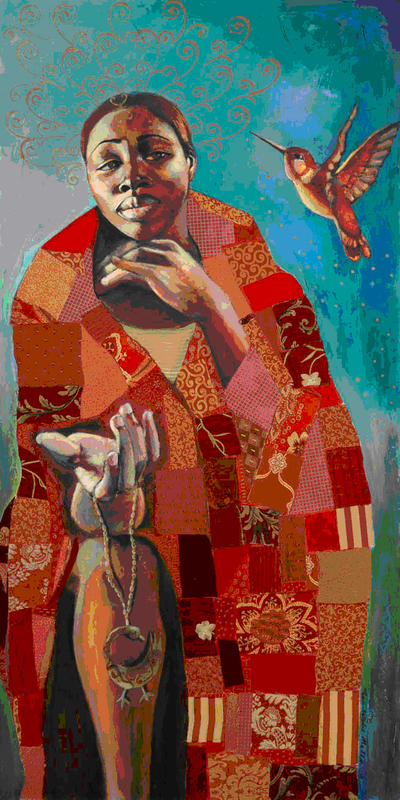 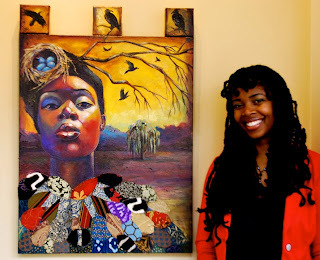 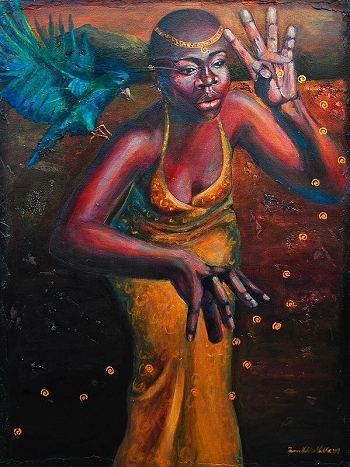 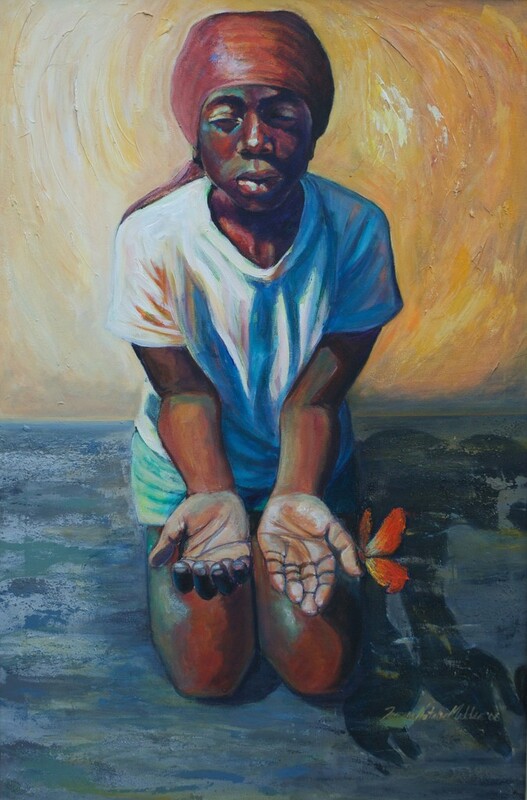 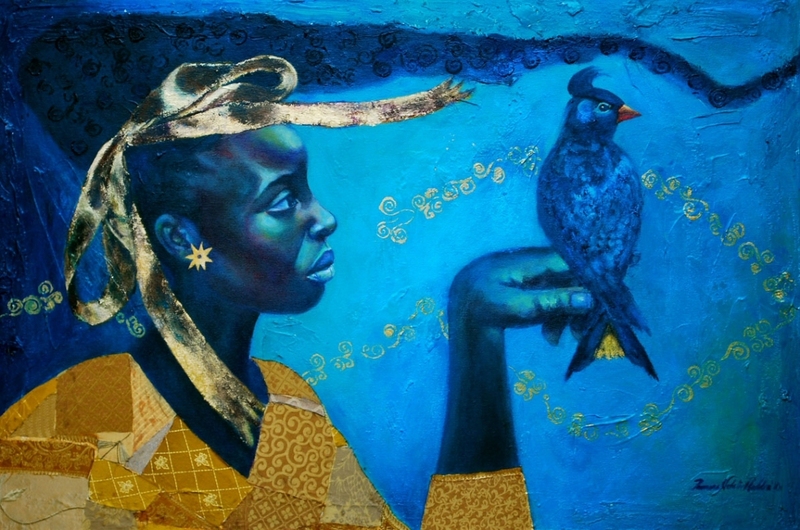 She’s exhibited in many group and solo exhibitions throughout the United States and Canada and her art was recently chosen by Black Art in America to cover the book entitled: “A Time, A Season…A Commemorative Book to Honor Oprah Winfrey.” Additionally, she was a recipient of an individual grant from the Puffin Foundation for her project, “Never Forgotten”, which focused on combating poverty worldwide. 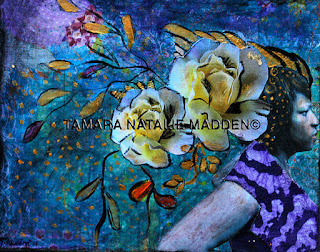 you have inspired me Tamara, I will write a post about your art.